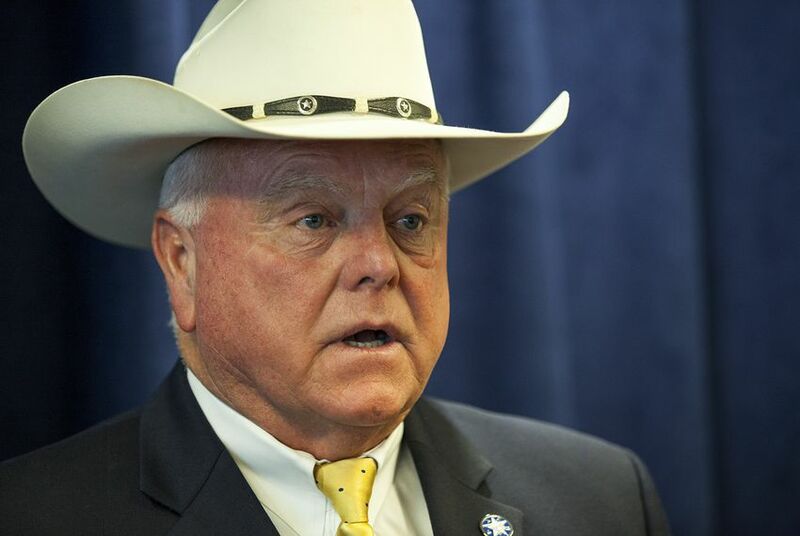 Texas Agriculture Commissioner Sid Miller is furious with the Six Flags amusement park chain over its decision to take down the Confederate flag and four others that had flown over the park. Miller took aim at the iconic amusement park in a lengthy statement he circulated Monday that also criticized nationwide efforts to remove larger monuments to the Confederacy in the wake of a deadly Nazi and white supremacist rally around a Robert E. Lee statue in Charlottesville, Virginia. On Friday, Six Flags announced that it would only fly American flags over its parks, reversing its decades-long tradition of displaying banners of the four other nations that have governed Texas: Spain, France, Mexico and the Republic of Texas. Miller, in his first term in office, has gained notoriety for polarizing statements, often posted to social media. Those have included as a tweet that called Hillary Clinton the C-word, a Facebook post that endorsed the atomic bombing of the “Muslim world" and a Facebook post that compared refugees to rattlesnakes.